Prairie Dog , Turkey, Misc. Archery hunting is an exhilarating challenge. Our archery hunts are favored among many. 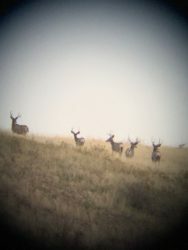 Bachelor groups of deer and rutting antelope bucks fill our ranch landscapes. Deer and antelope populations are doing great on our ranches and we are ever so optimistic that they will continue to strive. 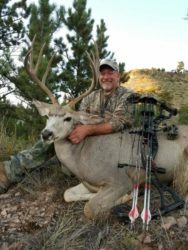 The best methods for hunting these early season mule deer is spot and stalk. It’s a true test to ones patience and drive when hunting these unpredictable animals. For those that choose to hunt whitetail, tree stand and ground blinds will be your best method. Antelope strategies vary depending on the time period. If the rut is on and in full swing, decoys work well. If it’s hot, ground blinds at water holes are always promising. And of course the traditional spot and stalk across the prairie country can be beneficial using rolling hills and draws to sneak close. 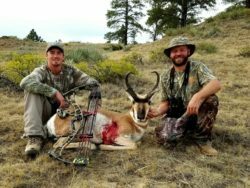 Many of our hunters book for a deer hunt and add an antelope making it a combo. One must draw a deer tag which historically is 100% success on drawing. Antelope hunting requires an antelope permit which is also applied through a draw. Drawing success has been increasing substantially for these antelope permits and is now close to 100% as well. Combo hunts last 6 days, Deer hunts 6 days and Antelope 4 days. Antelope season starts approximately the middle of August. 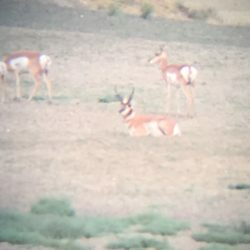 Hunts will be conducted starting then till the end of the month for antelope. Combo and Deer hunts will start at the beginning of September and last throughout the month.